For the past couple weeks, composer John Ottman has been busy recording his score to the upcoming Warner Brothers feature, Superman Returns. 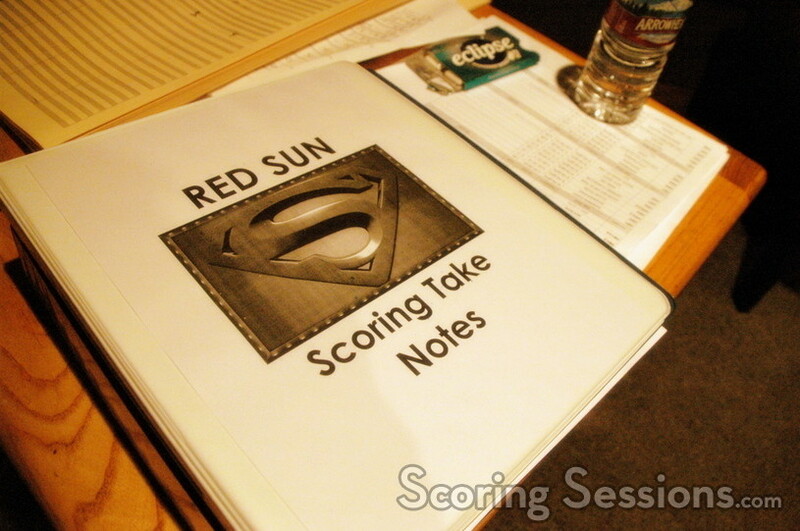 We are proud to bring you a first-look at the scoring sessions to this highly anticipated feature. When X-Men director Bryan Singer left the franchise to helm Superman Returns, he faced a difficult task. The project had been floating around the halls of Warner Brothers for almost a decade, and had seen such directors as Tim Burton, McG, Michael Bay and even Brett Ratner (X-Men: The Last Stand) on board. The various screenplays had been written over the years by folks like Kevin Smith and J.J. Abrams, but ultimately it was X2: X-Men United screenwriters Mike Dougherty and Dan Harris who would deliver the final product. Singer also brought along his usual suspects (pun intended): cinematographer Newton Thomas Sigel, production designer Guy Dyas, costume designer Louise Mingenback, and of course editor/composer John Ottman. Starring as the "man of steel" is relative newcomer Brandon Routh, with Kevin Spacey playing his nemesis, Lex Luthor. After a lengthy shoot in Australia, during which time Ottman was editing dailies as they came in, the production moved back to Hollywood where Ottman buried himself in his work along with co-editor Elliot Graham. After a few months of editing, Ottman went back to Australia to help oversee additional photography. Upon his return, he dove back into the editing process until things had progressed enough so that he could finally swap his editor’s hat for his composer’s hat. 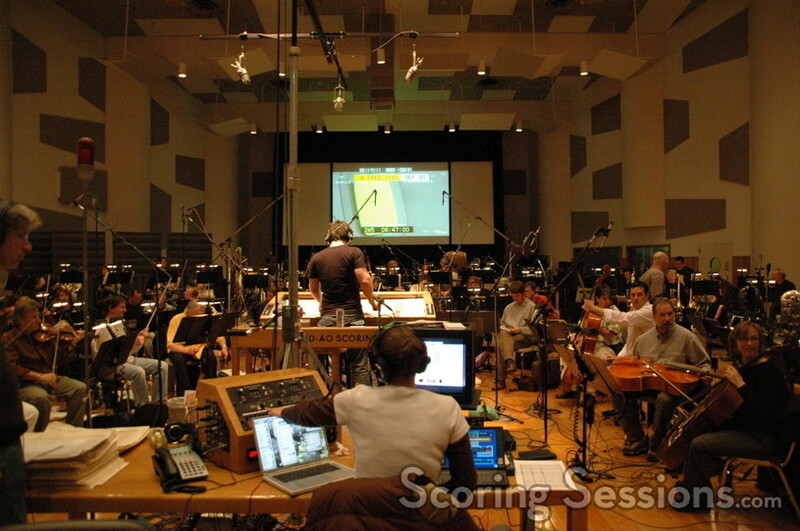 After months of writing (and editing), recording of the score began on April 10, 2006 at the Todd-AO Scoring Stage in Studio City, California. A 97-piece orchestra was led by orchestrator/conductor Damon Intrabartolo, and over the next two weeks (with a little break for the Easter holiday weekend), eight days of recording would ensue. In addition to the orchestral sessions, two choir sessions were planned: a sixty-person mixed choir, and an eight-person boys choir. There has been plenty of rumor and speculation about whether Ottman would be using John Williams’ classic theme from the original 1978 film, and in past interviews, it was made clear that he would certainly be using the main "Superman March". Now that the sessions have taken place, it’s clear that Ottman also references the "Leaving Home Theme", the "Krypton Theme", and the "Lois Lane Theme" (aka "Can You Read My Mind"). In addition to that, Ottman wrote his own new themes, including one for Lex Luthor, and an emotional one for Superman. Ottman’s music team was comprised of the same gang that had worked with him on many of his previous films. Score mixer Casey Stone would make sure that the orchestra sounded crisp and clear. 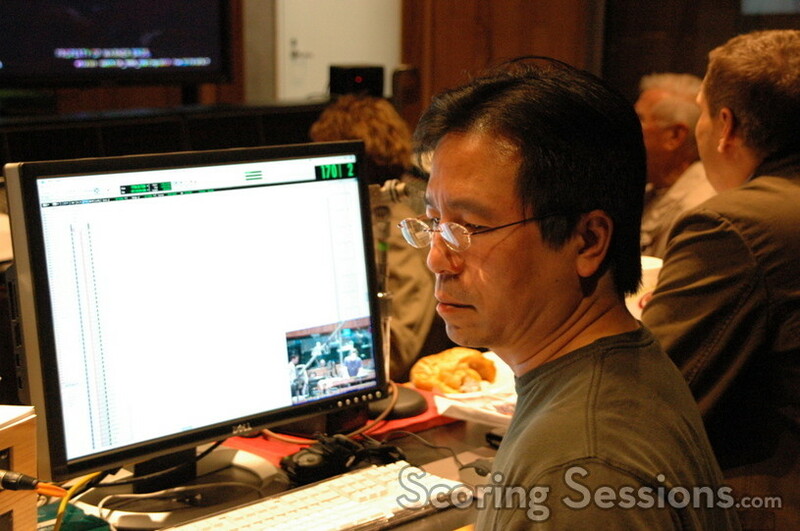 Larry Mah was in charge of ProTools recording. Music editor Amanda Goodpaster was assisted by Joe Bonn. In addition to Intrabartolo, Frank Macchia, Lior Rosner, Kevin Kliesch, John Ashton Thomas, Rick Giovinazzo and Jeff Schindler contributed orchestration duties. The code name for the film was Red Sun. Nice! During the first week of recording, many of the cues were of the dramatic and emotional variety, with the large-scale action saved for the second week, just to make sure things were running smoothly. With six hours of recording every day, progress through the score was going at a steady and productive pace. It was during that time that director Bryan Singer showed up to the scoring session with lead actor Brandon Routh (Clark Kent/Superman) and Sam Huntington (Jimmy Olsen). Routh, who had played trumpet for years, was invited by the brass section to show a bit of his skills. In the end, he didn’t play on the score, but was kind enough to pose for photos with Ottman, Singer, and the trumpet players. Actor Sam Huntington (Jimmy Olsen) takes photos at the session. No, really. Overall, things ran pretty smoothly during the sessions. 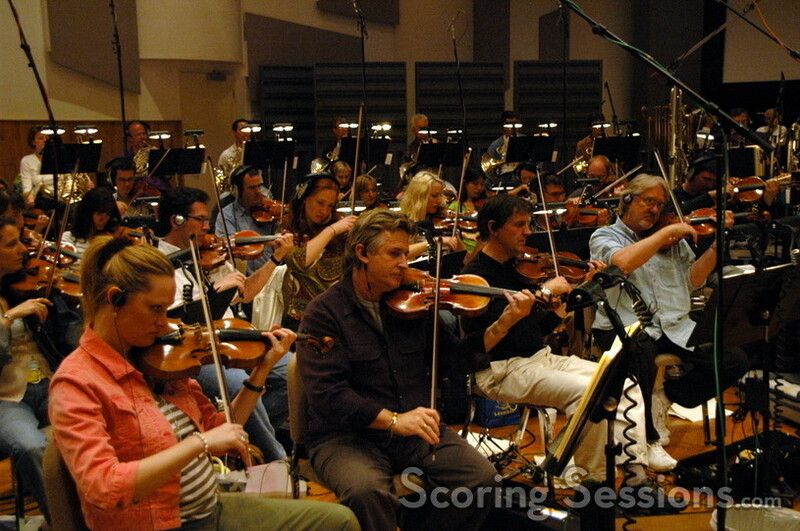 There are about two hours of score in the film, and most of it was recorded in the two weeks scheduled. Thoughtfully, Ottman invited John Williams to visit the sessions, however due to the Juilliard Centennial celebration, he was unable to attend – but appreciated the offer. Two choir sessions were held at Warner Brothers. Led by Bobbi Page, the first was a mixed choir of sixty voices, and the second was an eight-member boys choir. After the choir sessions, a B-orchestra session took place to record a bunch of smaller cues, as well as string overdubs. Also recorded was a bit of the Superman fanfare to place on top of the Warner Brothers logo at the front of the film – but it remains to be seen whether it will appear in the final film. (Ottman had recorded a bit of the X-Men theme to play on top of the 20th Century Fox logo, but it ultimately was never used.) It was a fast-paced session, starting at 7pm and running until midnight. They were able to get through it all, and celebrated at the end with champagne and cake. A few days after they finished, a tiny recording session was held at the Eastwood Scoring Stage at Warner Brothers for some small source cues that will be heard in the background of the film, including a bluegrass tune that will be heard coming out of a small radio during a scene. Currently, they are finishing up mixing the score at Warner Brothers, but there is still one more day of recording planned for early May. A few pick-up cues need to be recorded, as well the new prologue and a major sequence that was dropped from the film – but will be on the DVD release later this year. "I had written the score for this sequence early on," explained Ottman, "and I was really looking forward to hearing it scored – but then we cut it out of the film and I didn’t bother to record it – but now it turns out that we have to have it done by early June. It’s a big expository musical journey, which I had used to set up themes that appear later in the film, and was a lot of work, so I’m glad it will be heard on the DVD!" Combining a classic theme with original music isn’t an easy task, and from what we’ve heard at the Superman Returns sessions, Ottman has written one of the largest scores of his career, and paid respectful homage to a film score classic. A score album is coming in June from Rhino Records, which will contain about an hour of music from Ottman’s score, so stay tuned to SoundtrackNet, and look for a planned First Listen before the album is released. The soundtrack to Superman Returns will be released on Rhino Records on June 27, 2006. The film opens three days later, on June 30th, in theaters. Special IMAX presentations will show approximately 20 minutes of the film in 3D, so make an effort to check that out! Special thanks to John Ottman, Damon Intrabartolo, Amanda Goodpaster, and Debi Streeter at Warner Brothers.